Hole in the wall restaurants can surprise you. 9 times out of 10, the food is incredible - it's just a matter of taking the chance and trying it out. I've had Van Loi II on my radar since I moved to Greensboro nearly two years ago. I decided to venture for lunch one day, and upon entering the High Point Road spot, your eyes dart towards the hanging BBQ ducks. But don't be afraid - people are ordering them like crazy. And try not to let the dishes that include heart, blood, kidney and feet deter you. This is a terrific secret spot, but not for the weak-stomached. Though I'm not a huge Pho-head, I sampled my dining partner's and the broth is money. The beef is tender; exactly what Pho fans would want. I didn't slurp too much, because I knew I had to save room for the Avocado Shake. Yes, you read me right. This creamy, luscious, not-too-sweet concoction seems so obvious - how had I not thought of this before? 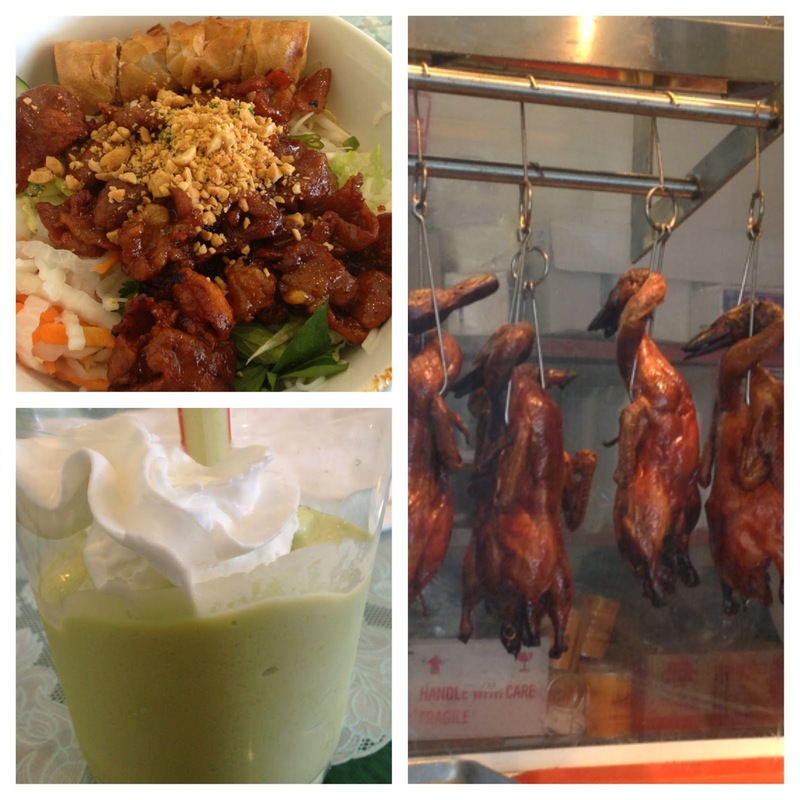 I encourage you to pull out your blender right now...or better yet, head to Van Loi. Branch out. It will be a wonderful surprise. Fire in the Triad: Guest Blogging for Nik Snacks!